Lovin the roadside spinifex grass. My son took this photo of me yesterday. Just a random snap, as I was heading out to pose for a different shot. I’m not sure why, but I really like it. As in, I totally love it. In some strange way it seems to capture a lot of my life and feelings at the moment. Endless blue sky…and I’m looking down. Surrounded by natures beauty…but concentrating too intently to see it. 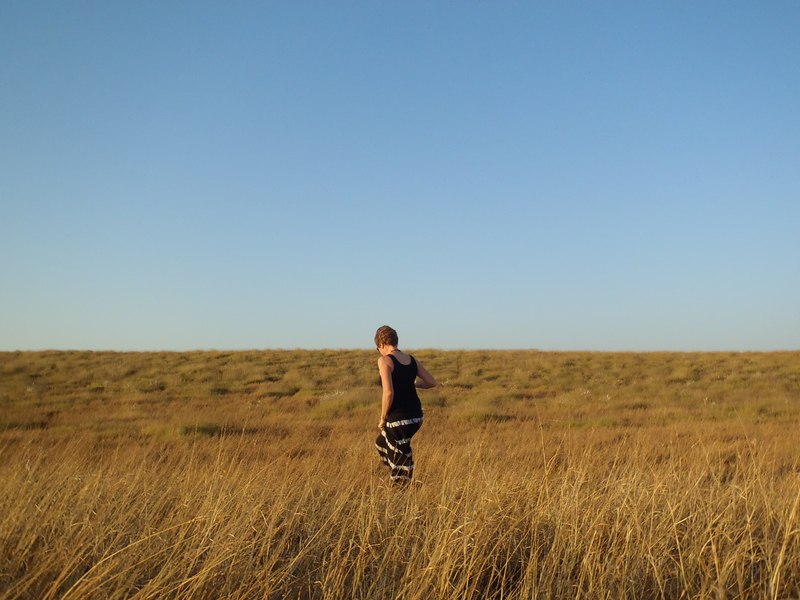 Solitary in a vast open space. 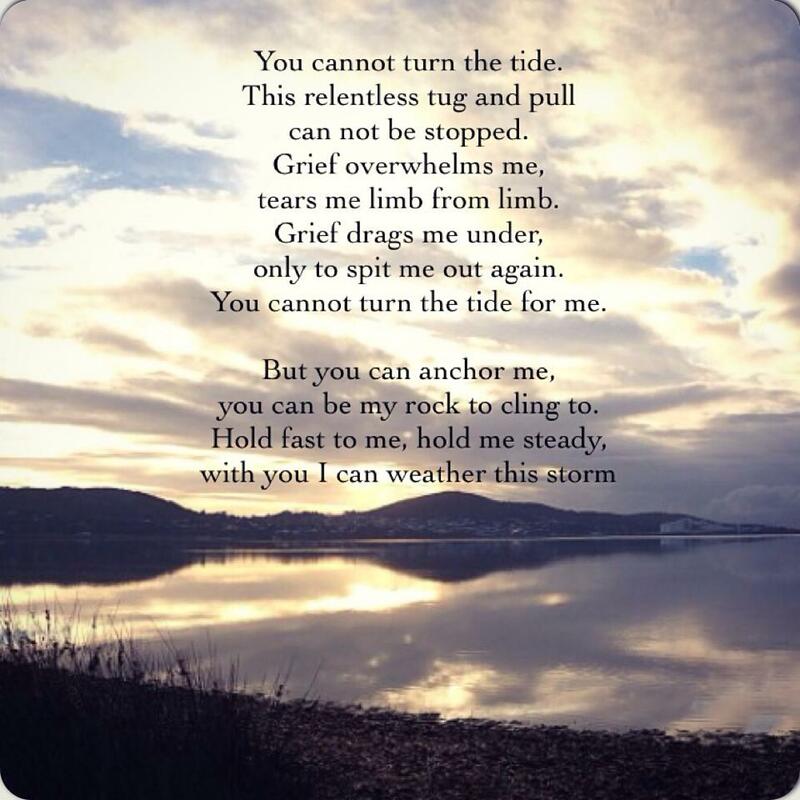 A poem for the people who are helping a loved one through their grief. Just be there for them, hold them. Support them when they crumble. It may not seem like much to you, but it feels like a lifeline to them. I am lucky. I have an amazing husband who gets this, he is my rock.